Are you ready for this year's community reading party? Anthony Marra's story collection is this year's Spokane is Reading selection. Anthony Marra's latest collection of short stories is framed as a mixtape, with chapters sectioned into "Side A," "Side B" and "Intermission." 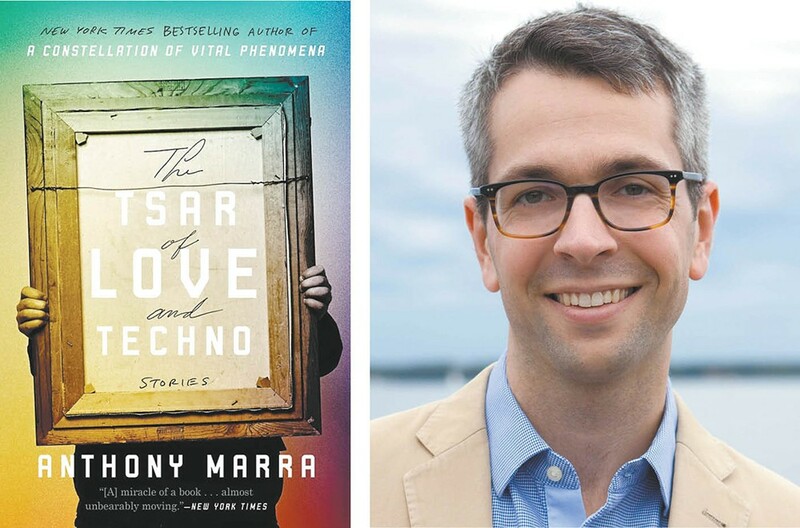 One can't help but notice the diligence in Marra's weaving of themes and characters, his careful framing of history and the painstaking creation of connective tissue between each surreal story. The collection, The Tsar of Love and Techno, justifiably chosen as this year's Spokane is Reading selection, is a tapestry of interwoven stories that uplifts and protests, introducing its reader to the characters affected by the history of the Soviet Union and never quite letting one forget the destruction and trauma that comes with war. The first story opens in Leningrad in 1937, and the stories that follow extend over years and places, from Kirovsk in the 1990s, to St. Petersburg in the 21st century, to a year unknown in the deep reaches of Outer Space. I haven't read a book since David Mitchell's Cloud Atlas that so convincingly spans time, linking its volume of characters ambitiously through details big and small. And just as Cloud Atlas favored complexity without losing depth of emotion, each character's storyline feels real because Marra has deliberately made it so. From the ballerina whose granddaughter becomes Miss Siberia, to the art censor who paints his exiled brother into every painting he is charged with censoring, to the woman who is eventually executed for disliking her mother's pie — somehow it nevers seems too far-fetched. Instead, what shines through is the peculiarity of human instinct, and the truth of how far we are willing to go to rebel inside of systems which confine and subjugate. Though it would seem, given the density of the subject, that personal attachment would loom unconvincingly beyond the storylines, Marra draws his readers into a world they could never inhabit with the skill of a con artist convincing internet users to give up their passwords. Truly a master in his craft, Marra has created a book which contemplates life at its most heartbreaking, and imbues it with hilarity, intelligence and destruction.